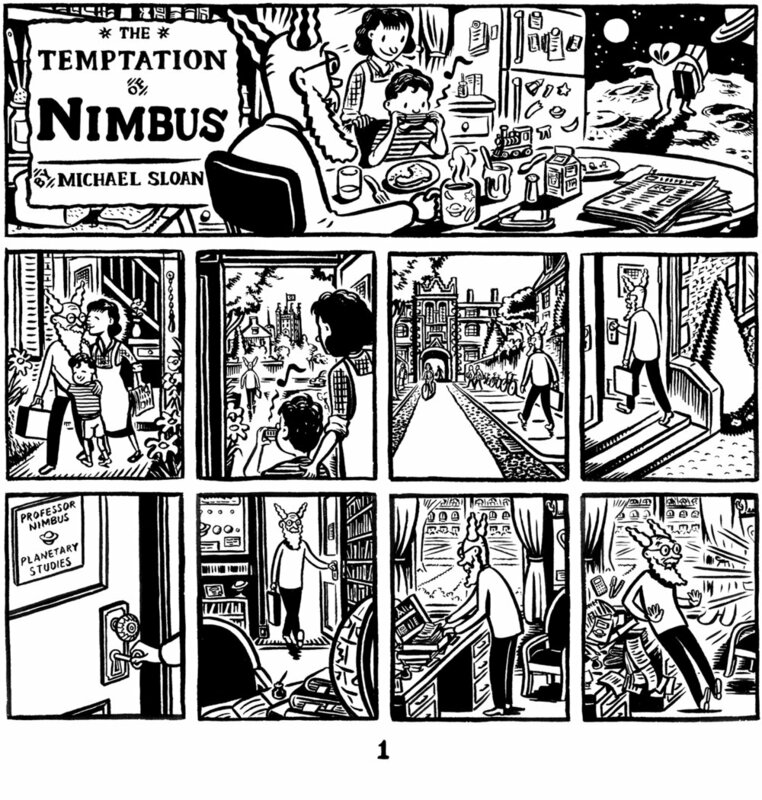 The Temptation of Nimbus appeared in The Comics Journal Volume 5 (the Manga Masters issue), published by Fantagraphics. It is the first commissioned work featuring Nimbus, and offers a rare glimpse into his domestic life. Temptation tells the story of how Nimbus is sought after by an alien race to be the leader of a distant world. 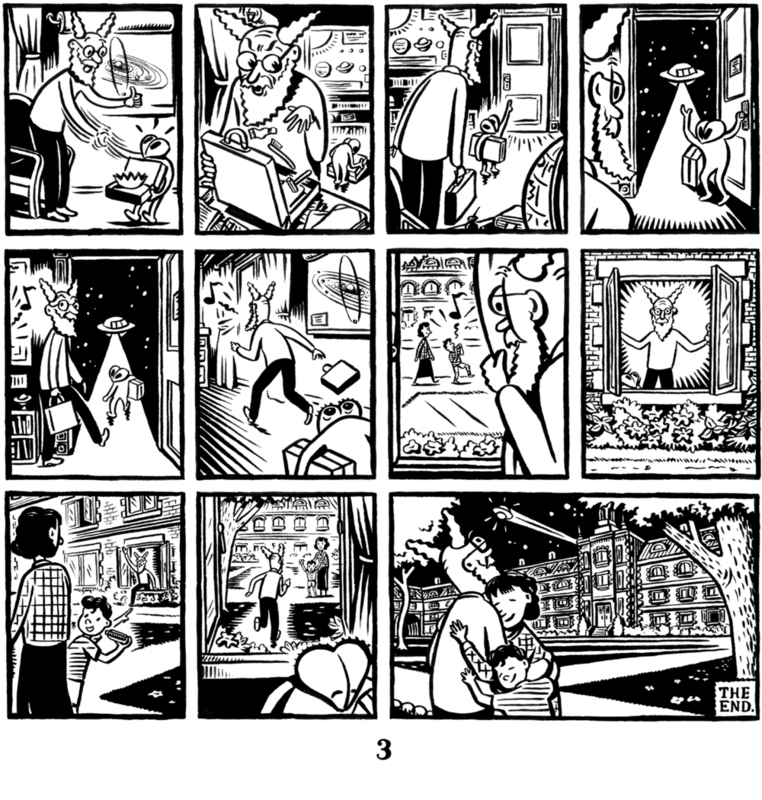 It was inspired by a dream I had where I was faced with the same situation and had to choose between life in an alien world, or life with my wife and children.